Hello, my lovelies! How are you today? Sunny weather, warm temperature, what is not to like?! I tell you what, allergies. The pollen has been driving nuts for the last weeks! My eyes are teary and red, my nose runs day and night, my throat is itchy and I can not -for the love of all- stop sneezing once I have started. I have sneezed 19 times in a row (my personal record) which is, in fact, killing my abs (I actually get abs cramps!) and regular antihistaminics won't help much. Well, now you know, it's actually possible to be grumpy about Spring! 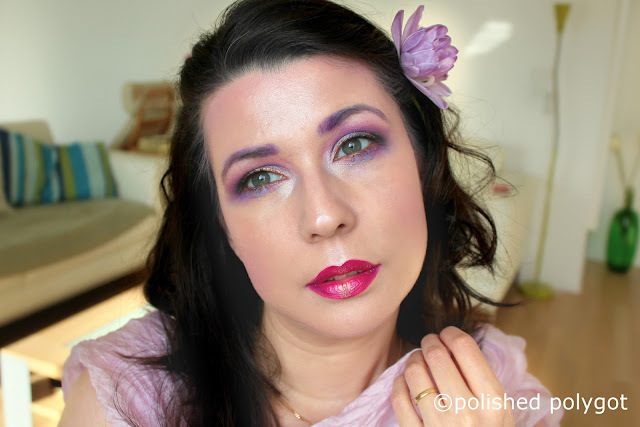 So to contrast my current no-love for Spring, I've prepared a nice "Spring Fairy" makeup to share with you. Watches are quite important for me, they are both a fashion accessory and a little piece of engineering, which is exactly what makes them so fascinating to my eye. I own a very eclectic ensemble of time pieces, a small watches collection I have amassed through my life, where each piece has a special meaning. Would you like to see it? I'm chatty this Monday, so let's chat a little bit. Have you noticed how people seem to always know what you SHOULD or SHOULDN't do? Especially with makeup. I mean, it is makeup for GOSH SAKE. 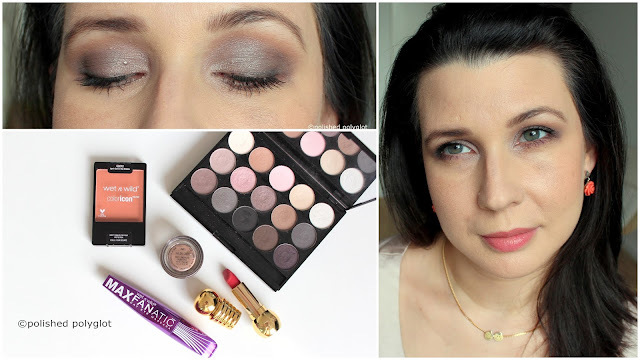 Every Monday for almost a year now, I've been sharing with you all my makeup looks for the Monday Shadow Challenge. I've done quite a few of those, and some were rrreeeeaaally heavy makeup, in-yo-face colours, others were very soft, well, whatever I was feeling like to wear at the moment and whatever the chosen colour inspired me. There are not "should" and "shouldn't", in my opinion, everyone is free to wear makeup the way he/she fancies the most! What do you think about this subject? I am really curious to know your opinion! Today the Nail Crazies Unite challenge proposes to do a manicure with "Sweets". I have a sweet-tooth but also like baking and decorating pastries, cookies, and cupcakes for my family. This nail art theme is adorable and It was a lot of fun to make! If you don't find Monday's a little bit discouraging, try then a sunny Monday with an overbooked schedule after a rainy weekend you spent mostly spring-cleaning, yay! 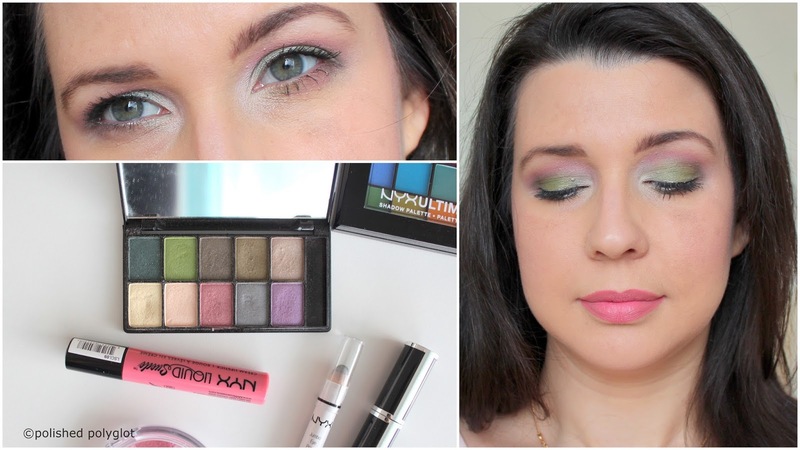 Let's cheer up this Monday with a bit of makeup, shall we? 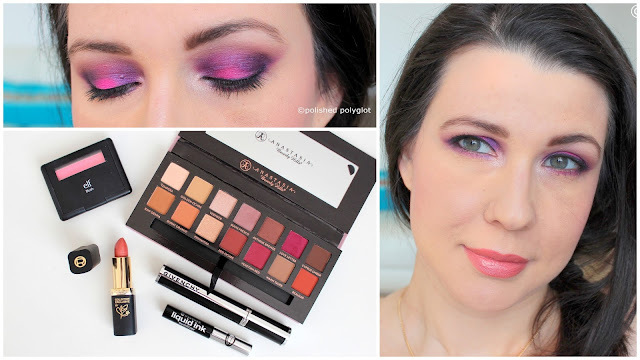 The Monday Shadow Challenge invite us to use "Magenta" as the main colour for today's look, and here is what I came u with. Shall we take a closer look? Happy Friday Sweeties! and Happy St. Patrick's day! Today The 26 Great Nail Art Ideas Challenge is doing "Spring Animals" as the nail art topic of the day, but I really wanted to do a manicure allusive to St. Patricks day, so I combined two topics and came up with this! I hope you like it. What is worse than a broken nail? I got two broken nails while I was in the middle of a swatching session and I got to fix them in five minutes with this simple hack that I'm sharing with you today! Last Thursday, while preparing my makeup look for the Monday Shadow Challenge, I was feeling exhausted. The day after Women's day all the slogans were still resonating in my head (and still are as I write this). I like makeup, I like to be creative with it, but let's be honest, we mostly use it daily to hide how tired, worn out and old we are. 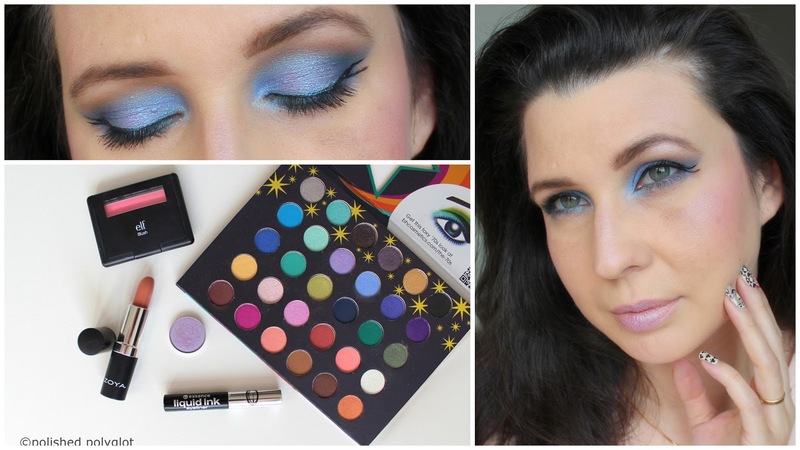 So, for today, I did an "effortless" makeup look that doesn't try hard to hide how tired I look (although it definitely helps a bit) using the shade asigned, which was "Greige". It's been long since I could actually post on a Friday, which are usually extra hectic. But yesterday I had a moment to schedule this post, wii! I did this manicure for the Nail Crazies Unite Challenge and the prompt for today is "Rainbow". If I ever met the younger me, there is a whole lot of things I would love to tell me. But I think the most important I would love to tell me is You don't need to be the best, the smartest, the prettiest, you don't. You don't need to be always so unhappy with yourself, so unsatisfied so serious. I bet I was not the only one out there that as a teenager was feeling bad about her body image because I wasn't slender enough, I wasn't thin enough, tanned enough I wasn't athletic enough... I wasn't enough.